NanoSpace is a conveniently versatile system specially designed to operate under Ultra-High Vacuum (UHV) conditions. 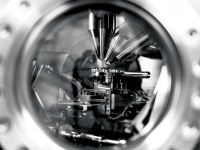 NanoSpace can be configured either as a Scanning Electron Microscope (SEM) or as a dual beam platform combining a SEM and a high performance Focused Ion Beam (FIB). 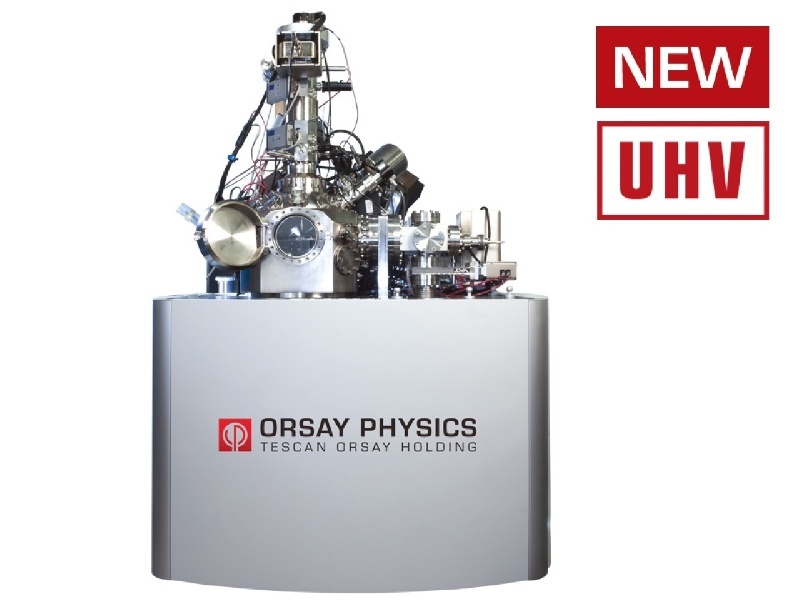 This UHV instrument is developed with a modular architecture allowing a large choice of SEM and FIB columns that matches end-users specific needs and goals. NanoSpace offers the best, complete and customized solution for FIB nanomachining, surface analysis, on samples demanding the most rigorous contamination-free environment. NanoSpace can also be equipped with a UHV compatible Gas Injection System (GIS) for local metal deposition and selective etching. 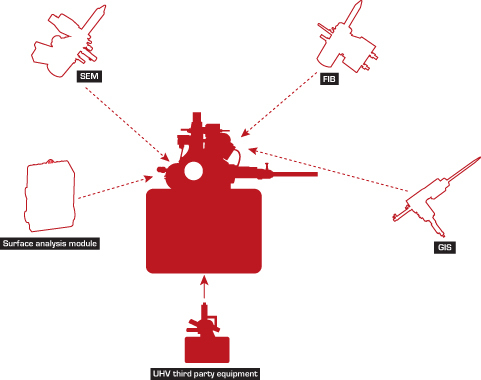 In-situ connection to third party systems such as MBE clusters, surface analysis instrument, is also possible through a UHV intermediate chamber. This connectivity broadens NanoSpace application scope.